It seems as though something big is coming to Call of Duty: Black Ops 4. Treyarch took to Twitter recently to tease, well, something for its multiplayer shooter. Naturally, it’s being coy with what exactly it’s planning but fans should be on the lookout for the next few days. It’s cold out there in the world of Blackout… where did all the Zombies go? Are they dead again? Or are they planning something for the holidays…? It appears that something is going to happen with Blackout, Black Ops 4’s battle royale mode. 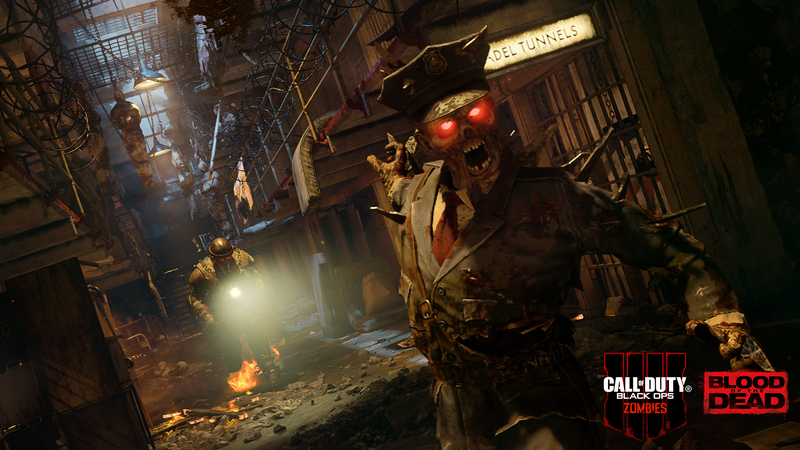 You may have noticed that zombies are conspicuously nowhere to be seen on the map. Maybe they’re planning a holiday surprise of some sort? That doesn’t seem like them, but it is the merriest time of all. While we wait to see what they’re up to, you can rest assured knowing that you won’t be attacked by the undead for the time being. What ever could happen in Black Ops 4? Could we be in store for something special for the holidays? Maybe there might possibly be a holiday makeover? We recently got special holiday event in Blackout, which added snowballs among other festive imagery. We also got a new holiday mode in Zombies known as “Winter Calling.” In addition, Black Ops 4 just got its first new specialist, known as Zero. With Christmas right around the corner, will Treyarch be giving its fans a special holiday surprise? We probably won’t have to wait long to see what Treyarch (and those dang zombies) is planning. What do you think we’ll see in Black Ops 4? Let us know!